Some relationships lose the bubble very quickly. Others lose it over time. Some relationships are troubled nearly from the beginning and go through a rapid course of coming together and then coming apart. What creates the “glue” to hold two people together and what dissolves that glue? 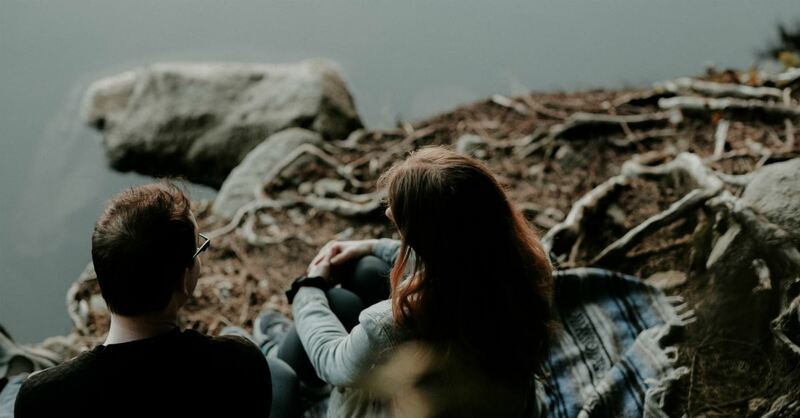 Five critical ingredients—certainly not meant to be the final word on the topic—are absolutely necessary to hold any partnership together. Communication. Communication is key to any relationship. Not just any kind of communication, but deep, honest, and transparent sharing. The glue that holds relationships together is kind, compassionate, and collaborative sharing. We realize, and hold in our minds, that this relationship is important and fragile. It cannot withstand abusive or harsh language or language intended to harm. It cannot withstand flippant gestures, even if there is no intent to harm. Respect. Any relationship moving beyond the initiating stage must be marked by respect. Respect is the idea that someone holds you in high regard and you know it. Because they hold you in high regard, the language they use with you, and about you, will be positive. Even when times are challenging and you have reasons for concern, those feelings will be shared in a respectful way. You remain secure about the other’s view of you. Admiration. Closely related to the concept of respect is the idea of admiration. We all want to be with people we know have some level of admiration for us. I’m not talking about the “You can do no wrong” or “You walk on water” kind of admiration. Rather, it’s a sense that you are admired for your positive traits. People who admire and respect one another are likely to be friends at the least, and maybe much more. Caring. Not only must caring be part of the package of healthy connection, but so must feeling cared about as well. Caring and feeling cared for must both be present if the relationship is to advance. We have a sense that this other person has our back. They can be relied upon to care for us should the need arise—and it will. Boundaries. Finally, any partnership is built upon clear and agreed-upon expectations. Sometimes these are spelled out, letter by letter, and other times parts of the agreement are simply understood. Most relationships are based upon trust, and that trust comes from knowing the other will keep you safe and protect you from harm. You often set boundaries about faithfulness, ways you both will be treated, and how the relationship will advance. Healthy boundaries create healthy relationships. These are the bare minimum of what is expected to make a relationship strong, glued together. Some would add trust to the list; others might even add fun and adventure. What is important is that two people agree on what the relationship will look like, whether it will advance and stay together, or whether it lacks too many basic ingredients and must dissolve. Think it over and decide. Communication, respect, admiration, caring, and boundaries were all central issues of concern in Jeff and Candace’s relationship. They struggled in each area and, subsequently, their relationship was in serious trouble. Jeff and Candace have been married for more than 20 years, and he works as general manager for her father’s electrical supplies store. Candace made an appointment to see me after a series of difficult encounters with Jeff that left her wondering what to do. While Jeff married into the business, he has been there many years and treats it as his own. He harbors growing resentment over the fact that he has never been able to buy into the business and must still answer to her father. Her father has never officially given him shares in the company, and Jeff feels acutely dismissed by this. Jeff rarely lets a day go by that he doesn’t make some snide comment about her parents. He doesn’t feel supported by Candace, and she doesn’t feel supported by him. Both harbor growing resentment. According to her, he takes more than his allotted sick time, is often late for work, and is disrespectful to her and her father, both to their faces and behind their backs. He has gossiped about them to other employees but denies doing this when confronted. Candace’s father is not a strong leader. According to Candace, her father frets about confronting Jeff and feels Jeff ’s resentment. Their problems at work have seeped into their marriage. “What have you done to clear the air with him?” I asked. “Tell me about your health,” I said. “How is your relationship with Jeff ?” I asked. “But your body is keeping score, right?” I asked. Our emotions are always working, impacting how we think, feel, and react to situations. While we may fly through life, our bodies, minds, and emotions feel and record the impact. Our bodies and minds keep score, and the score adds up. We cannot continually sweep things under the rug. It is easier to see a problem from outside of a situation. Listening to Candace, I can quickly see her dilemma; she is being pulled in two different directions of loyalty. I can see how communication is convoluted, further aggravating the problem. Candace is acutely feeling the strain of being caught in the middle of Jeff and her parents. She cannot continue to hear his snide remarks and also know that her father is upset as well. They have got to solve these problems, or she must determine a way to get out of the middle. This is the simple, straightforward answer to her problem. As you and I both know, life is rarely this simple. She relies on her parents for her and her husband’s financial livelihood, not to mention the love and respect she has for them. She is grateful for the opportunities they have given her and her husband. Yet there is ongoing, unresolved conflict. Nonetheless, Candace must face her own fears and weaknesses. She must have some hard conversations with Jeff, clarifying roles, expectations for the way the company runs, and how she expects him to interact with her parents. She must share her feelings with him. Likewise, she must also be ready to hear him and validate concerns he undoubtedly carries inside. She must be a safe place for him to share his disappointment, feelings of disrespect, and fears. Additionally, Candace must ready herself for a conversation with her father and perhaps her mother, collaborating with her husband about their best course of action. The air must be cleared. Candace is experiencing a great deal of anxiety. While she may tell me this is all resulting from the present situation, this is rarely the case, for her or for any of us. Past issues, and ways we have dealt with them or not dealt with them, impact today. Her avoidance of issues is a pattern for her, influencing every area of her life. Anxiety, contained and denied, affects our bodies, minds, emotions, and, yes, relationships. 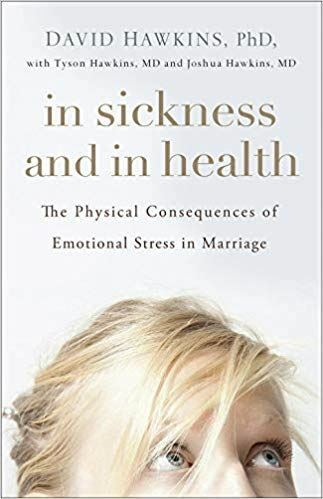 I can imagine her anxiety impacting her marriage, her relationship to her parents, and her own mental, emotional, physical, and spiritual health. As with a pebble thrown into a pond, the ripples extend a long way. Candace hurts, and subsequently she hurts others in the process. Those around her feel her tension. She has become more aware of her irritability as both her husband and father make more frequent complaints. It’s time she owns the horrific impact this stress is taking on her. She must make some difficult decisions. Adapted from In Sickness and in Health. Copyright © 2019 by David Hawkins. Published by Harvest House Publishers, Eugene, Oregon. www.harvesthousepublishers.com. Used by Permission.